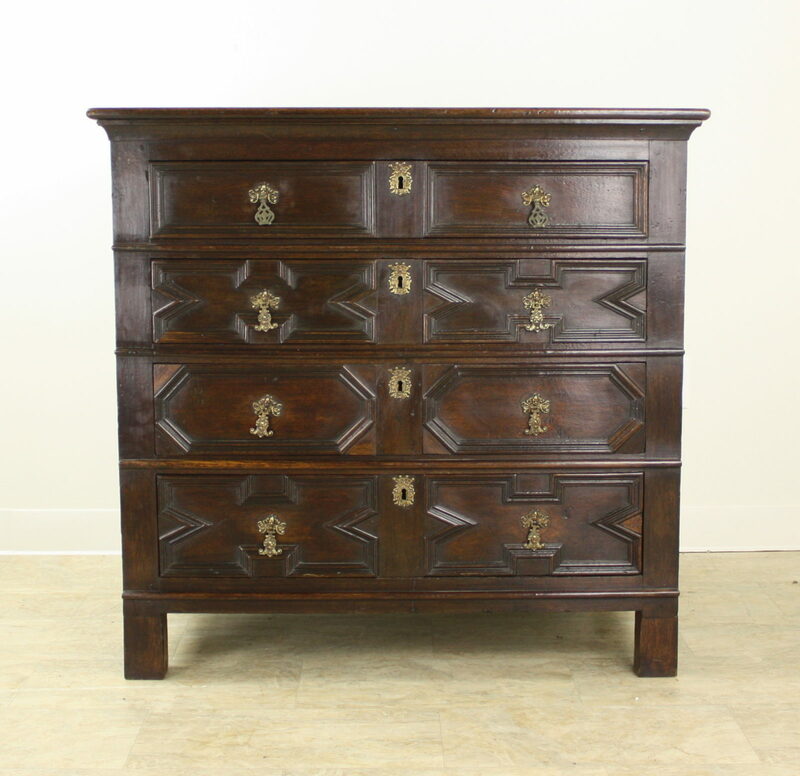 In the Jacobean style, this very early oak piece dates from the mid 1700’s, and presents considerable style and character. 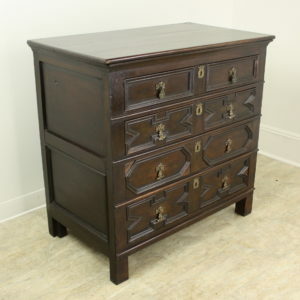 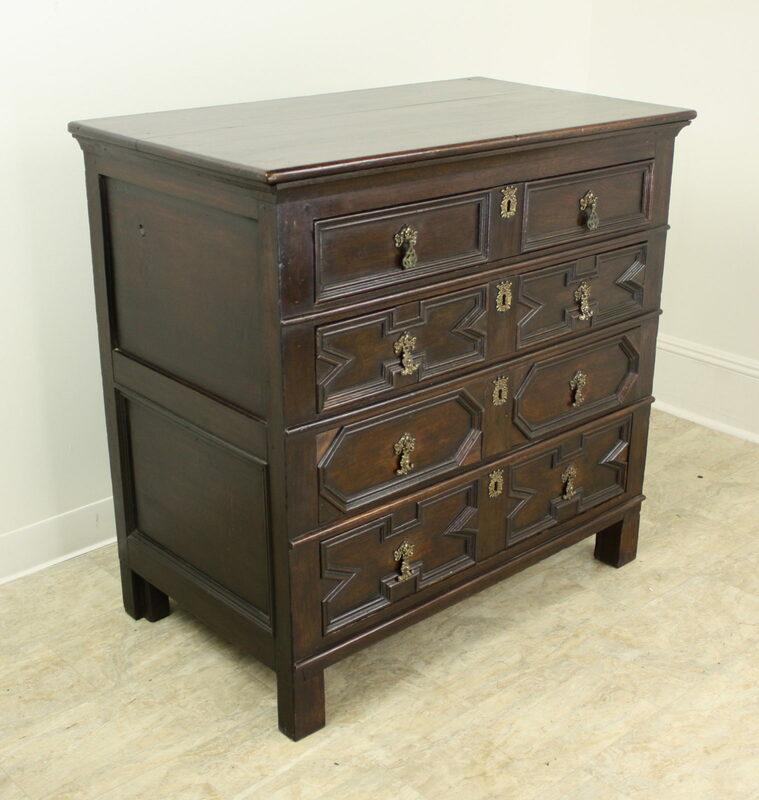 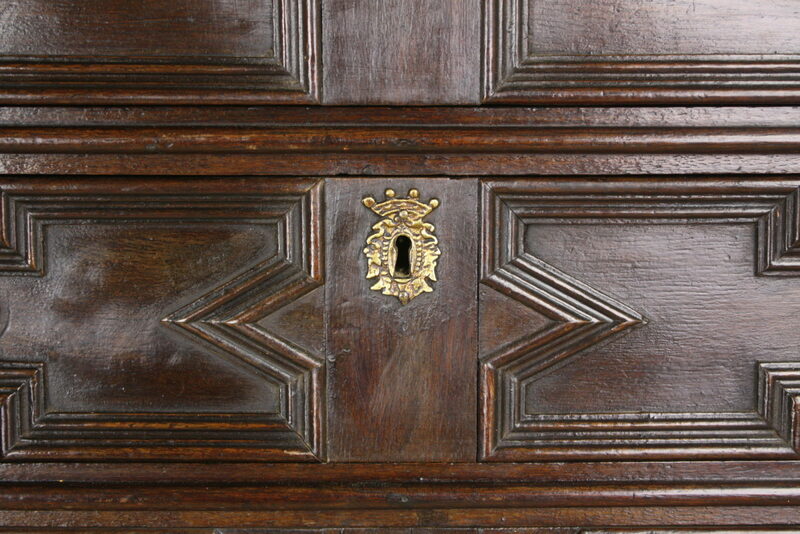 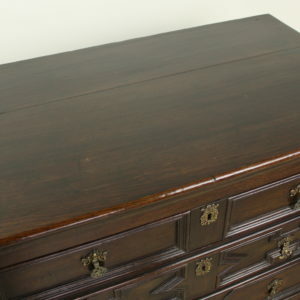 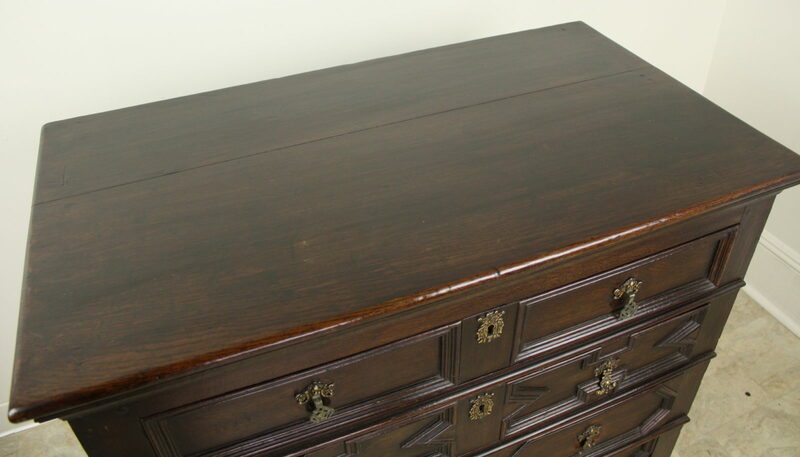 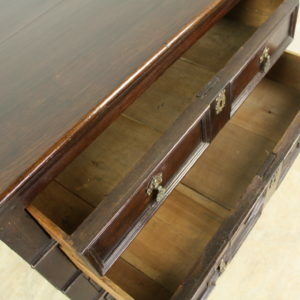 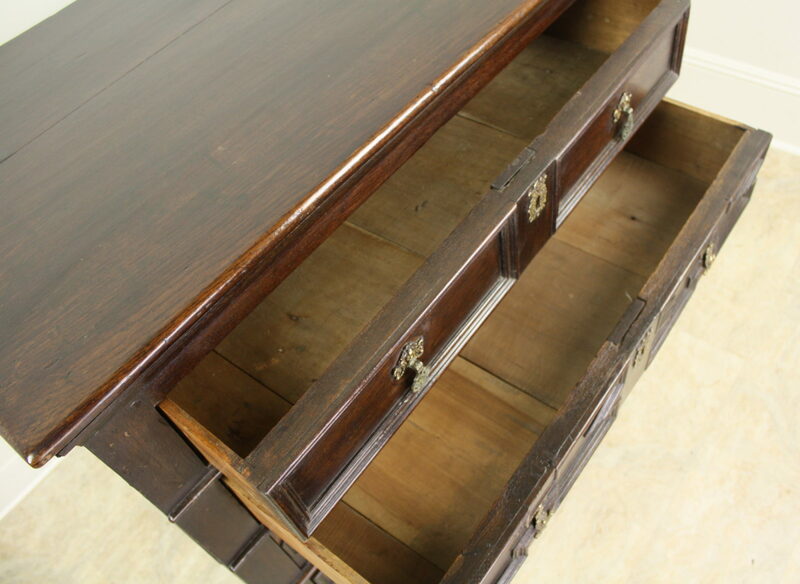 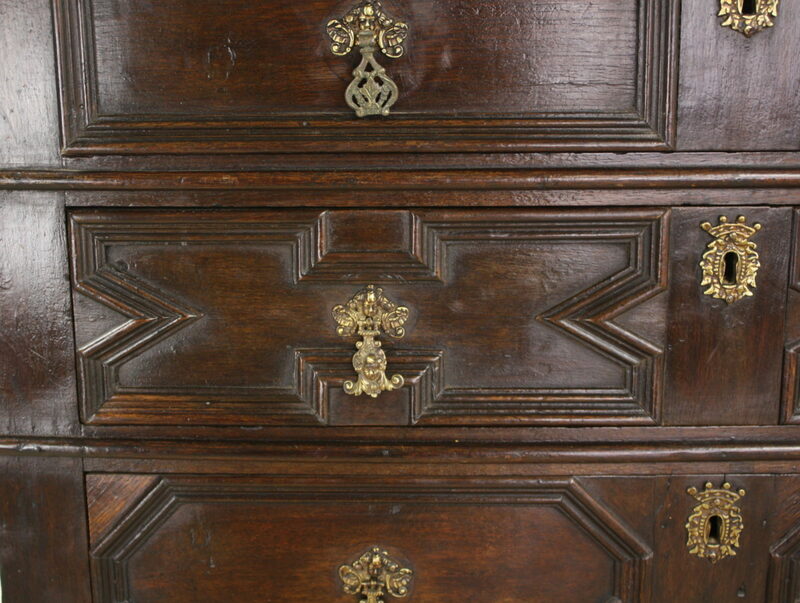 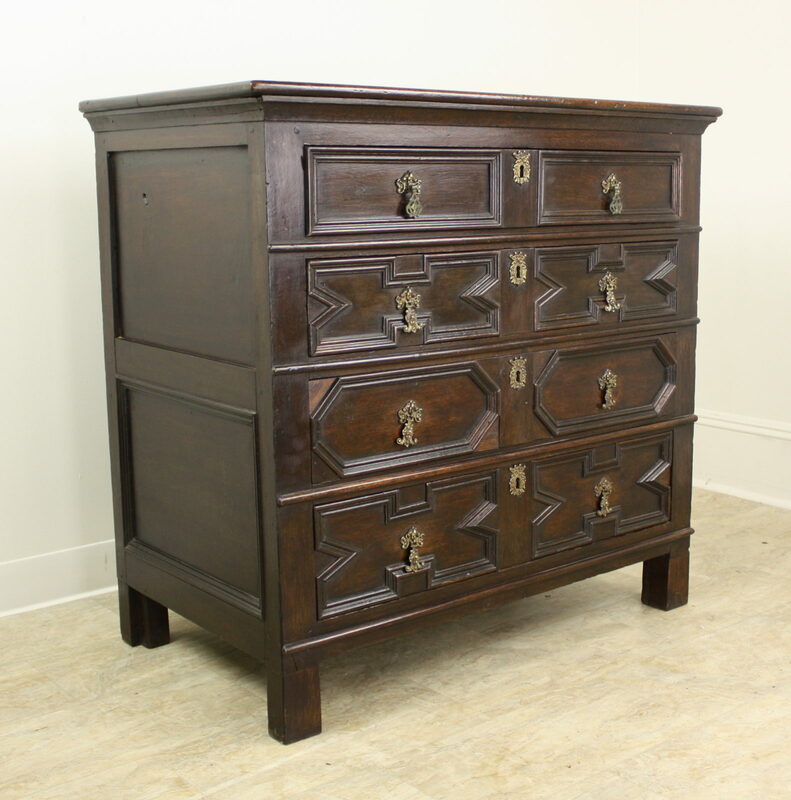 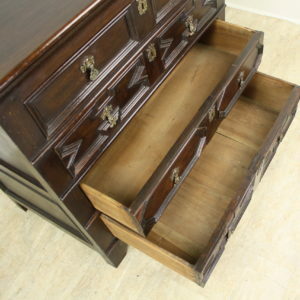 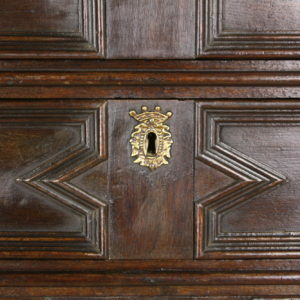 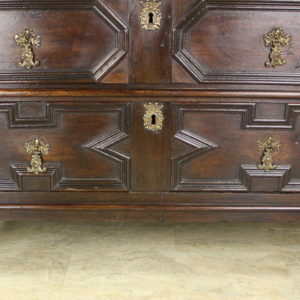 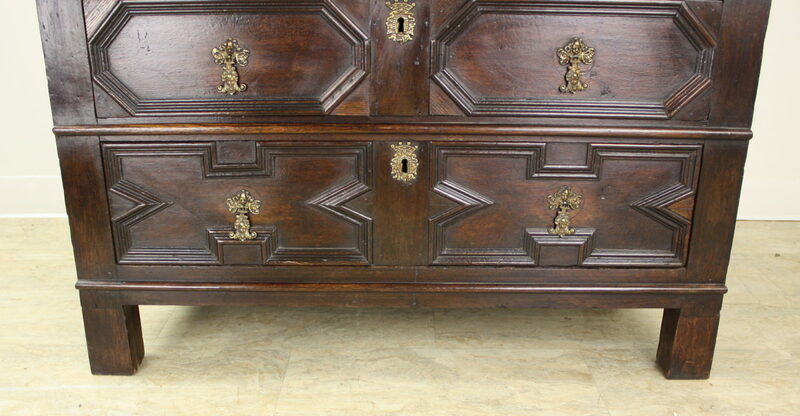 Diagonal patterns on the faces of the front drawer are typical of the period and are always an outstanding feature. 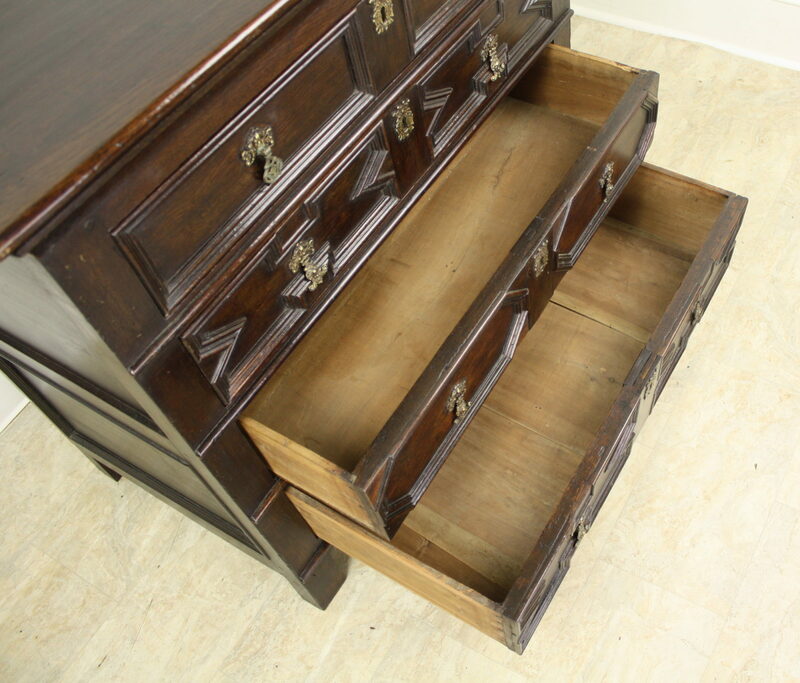 Drawer fronts are inset with attractive moldings, side panels are inset as well. 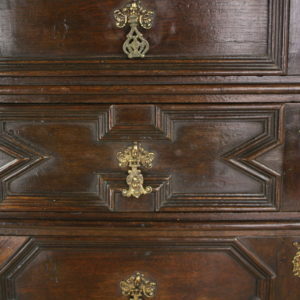 Two replaced pulls on the top drawer are old and date to the piece as do all the other pulls and escutcheons.